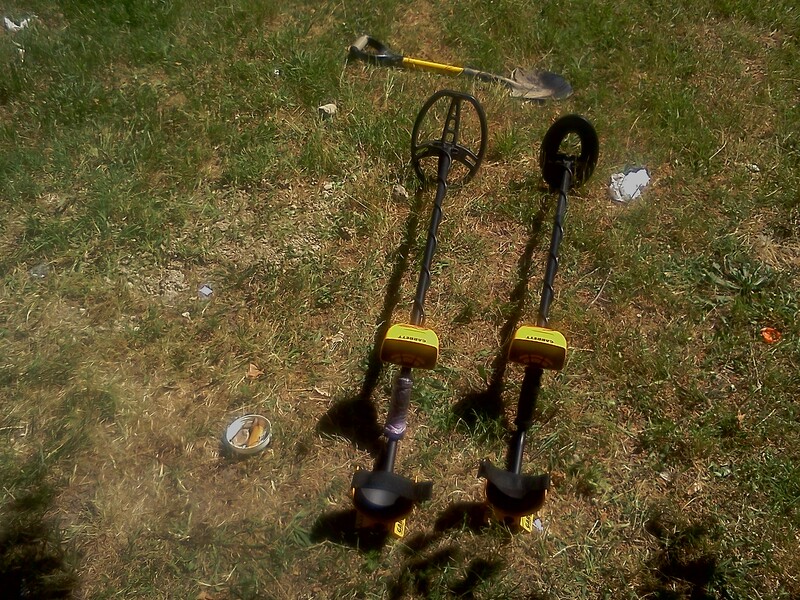 Original article by Mirco Salmi – © 2017 Smart Metal Detecting – Published on AMDTT.IT with authorization. Hello my fellow detectorists! 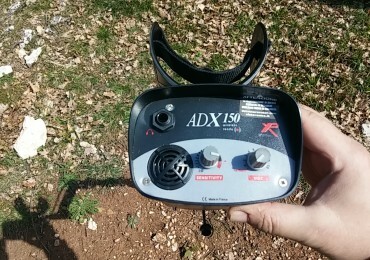 I’m here to talk about two brand new coils made by Bulgarian Detech for Minelab detectors Series SD, GP and GPX, that I will test on my Minelab GPX 4500: the 12.5” DD and the 15” DD “Ultimate”. Before describing the coils, a short introduction about the machine I’ve used is almost mandatory. 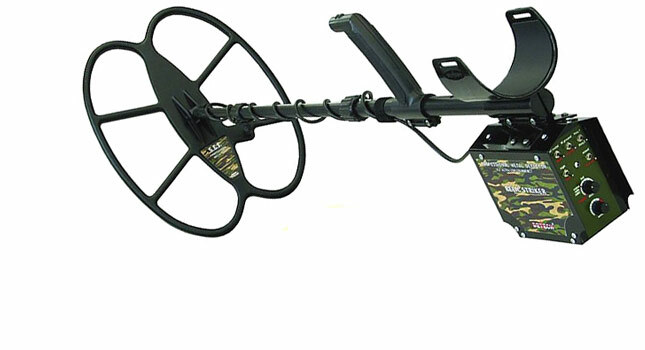 The Minelab GPX 4500 is a very sophisticated Pulse Induction metal detector, designed for gold prospecting in heavily mineralized soils. 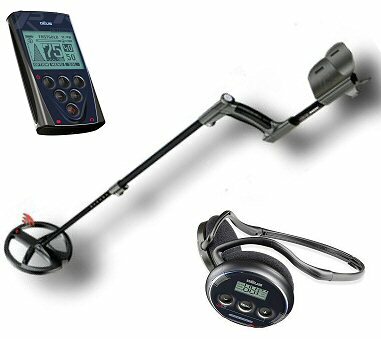 A true concentrate of Australian technology, born from the brilliant mind of physicist Bruce Candy, Minelab’s founder and Chief Designer. It’s being a few months since the french manufacturer XP has launched the new HF 9″ coil for its flagship detector, the DEUS. The french company, very kindly, has sent to me a complete unit (including a remote control, 9″ HF and 11″ Standard coils/detectors, a MI-6 pinpointer and a WS4 wireless headphone) updated to 4.0 firmware release, needed to use the new high frequency coil. For everyone who was astonished by the article’s title “…coil/detector…”, I’ll go straighforward to the explanation of that expression. For years, majority of metal detectorists (Deus owners or not) has had always considerated the its coils…just coils… but this is not completely true! 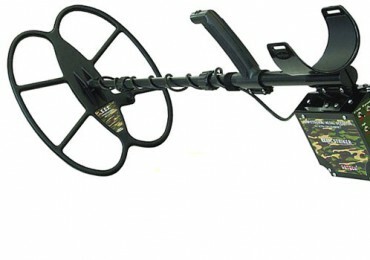 Time is finally arrived to talk about Detech’s latest metal detector: the Chaser! After becoming worldwide famous for their high performance coils and EDS Plus, Winner, Reacher, Gold Catcher and Relic Striker VLF analog models, the bulgarian company ran by Eng. 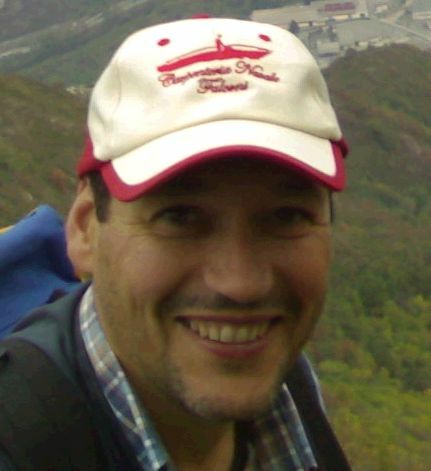 Rumen Kanev entered the market competition of display based, digitally controlled detectors. 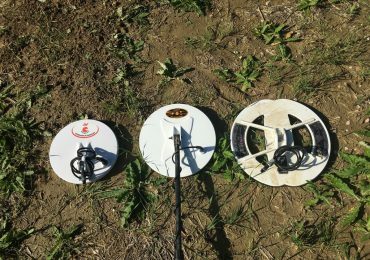 We were happy to receive one of the last Chaser release with firmware 1.107 (Note: when you will read this article a newest release should be installed on the machine) together with three coils: a Ultimate 9” DD, a SEF 12”x10” and the little 6”x6” sniper coil. 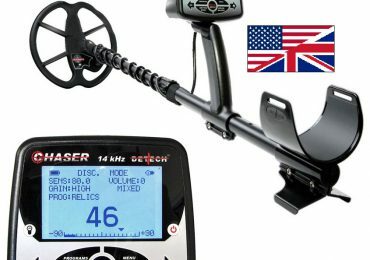 This is the first part of our complete review of the Detech Chaser. You will soon read a follow-on, with beach and mountain test, led by other AMD Tech Team members. 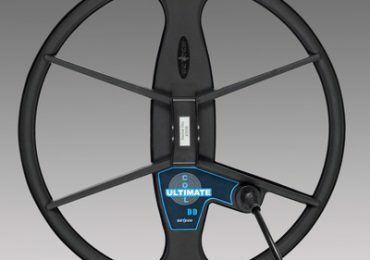 TEST: Detech Ultimate 13” for Garrett AT PRO: more power! People who use the Garrett AT PRO since a long time know very well its potential. With the stock coil, a DD “Smudged” 8.5”x11”, you have very good performances on different soil conditions. Obviously you cannot expect “spectacular” results from a coil that, even if very well designed, is made for general purpose treasure hunting, and fits well to beginner and expert users at the same time. It has a good depth, good target separation and, after all, it is not so heavy. But what could we do if we want some more? XP ADX 150: Lots of power, simplicity and lightweight… for everyone! Spring has finally come and rainy days seem to have gave us a little peace. I was impatient to go back on the field because, as you may have read in the blog, during this period the AMD Tech Team was literally “loaded” of metal detectors to be tested and reviewed. In between all those machines that were kindly sent to us, we had the XP ADX 150, distributed in Italy by Detector Center of Cervia. 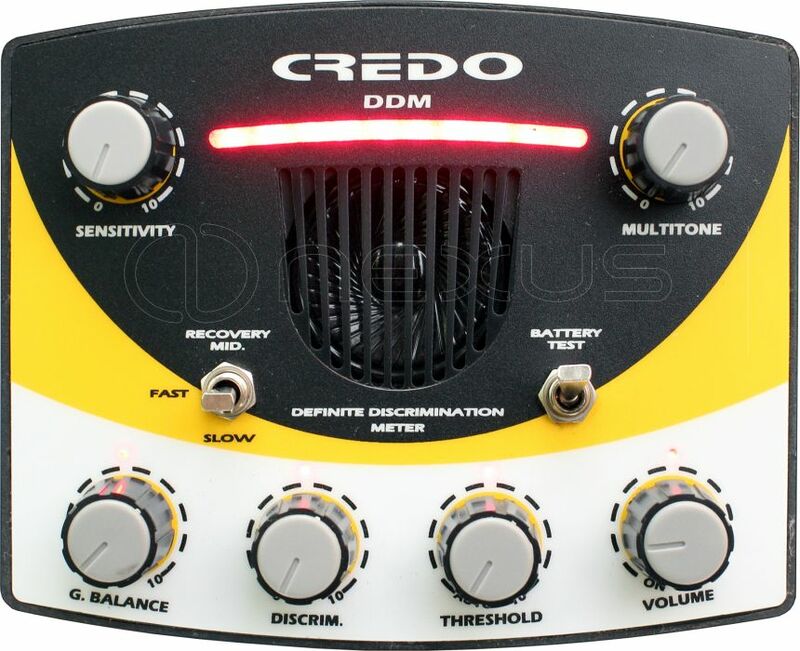 It’s the entry-level machine from the French manufacturer XP that, till now, was somehow a little bit neglected in comparison to its “major brothers” GoldMaxx, Mito, G-Maxx and, obviously, top of the line DEUS machine. 1st XP EUROPEAN GOLD RALLY! 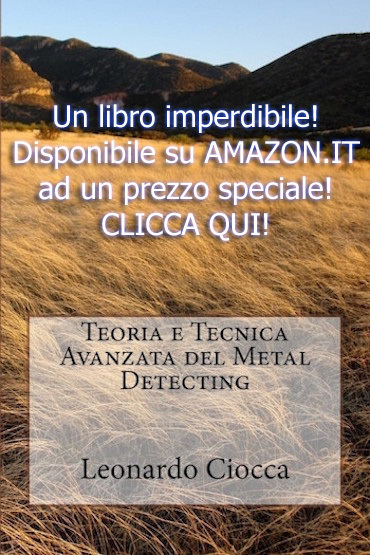 Riceviamo una fantastica notizia per tutti gli appassionati possessori di metal detector XP! Il 17 e 18 Settembre 2016, in Inghilterra e precisamente in North Oxfordshire, nel cuore del Cotswolds, si avranno a disposizione ben 1400 acri di terreno da spazzolare (seguendo la normativa Inglese!). 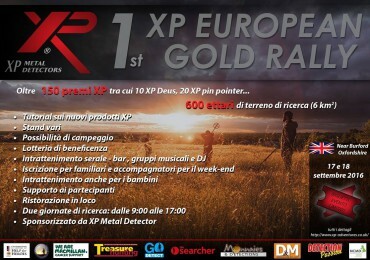 Si tratta del Primo XP GOLD RALLY EUROPEO, con la collaborazione diretta della XP Metal Detector, aperto ai soli possessori di macchine XP. 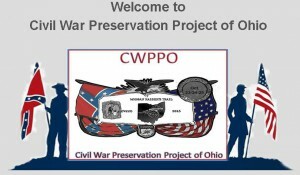 Come annunciato qualche giorno fa, AMDTT non solo ha avuto il piacere di dare notizia dell’iniziativa promossa dalla nostra amica Sam Waters, il Civil War Preservation Project of Ohio (CWPPO – vedi LINK) ma ha voluto dare un fattivo contributo al progetto. AMDTT ha infatti deciso di donare un Makro Pointer che verrà messo all’asta per aiutare a finanziare il bellissimo progetto ideato dalla nostra amica Sam. 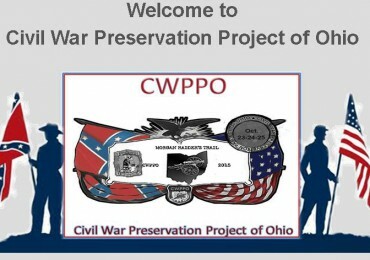 E’ con grande piacere che vogliamo comunicare ai nostri lettori che AMD darà pieno supporto all’iniziativa intrapresa dalla nostra amica statunitense Sam Waters, fondatrice della BackYard Diggers e ideatrice del progetto Civil War Preservation Project of Ohio (CWPPO). Sam, con la collaborazione di esperti storici, archeologi, detectoristi, esperti in relic della Guerra Civile Americana e moltissimi volontari, ha come obbiettivo quello di trovare prove concrete della battaglia che si è combattuta più a nord degli USA durante la Guerra Civile. 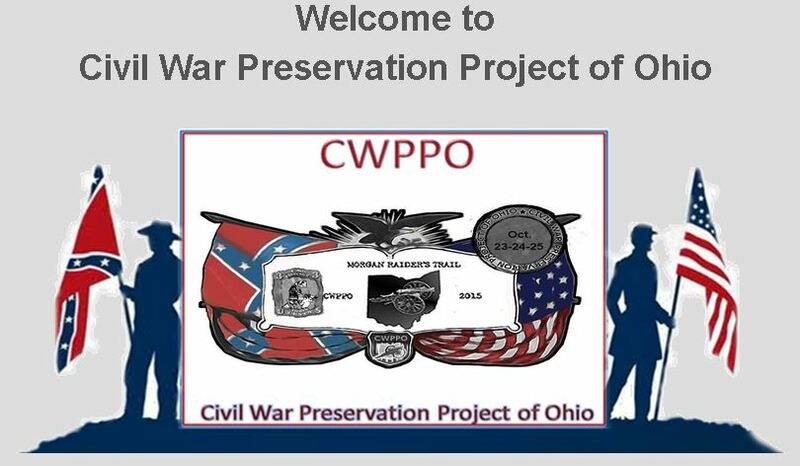 Conosciuta come Battaglia di Salineville, si svolse in Carroll County, Ohio, tra le truppe a cavallo del Generale Confederato John Hunt Morgan e elementi dell’Esercito dell’Unione insieme alle truppe miliziane dell’Ohio che inseguirono le forze del generale Morgan per più di 40 giorni. 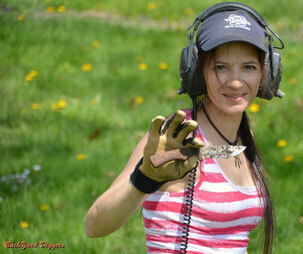 Audio Interview to the “Diggers”: We’ve met them in Italy! 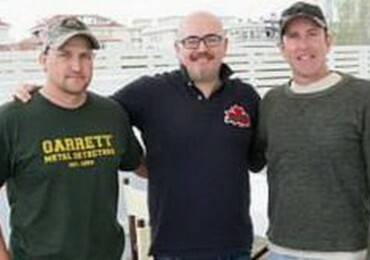 During the last Garrett’s Contest Day, in Cesenatico (Italy), organized by Securitaly (one of the most important Italian Garrett’s distributors), I had the chance to meet and interview the National Geographic “Diggers” stars: “King” George Wyant and Tim “Ringmaster” Saylor. 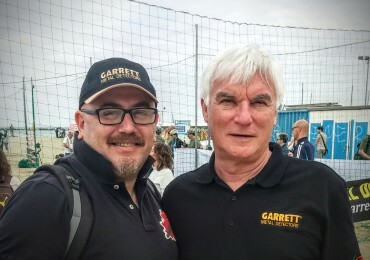 During the Garrett Contest 2015, done in Cesenatico some weeks ago, I had the chance and honour to meet and interview Dr. Robert Podhrasky, Engineering Manager of Garrett Metal Detectors. If you’re using a Garrett’s detector, you surely have to thank this man! Garrett Pro-Pointer AT: A.mazing T.echnology! As announced last week, Securitaly (one of the official Italian Garrett’s distributors), kindly sent us a sample of the new pinpointer made by Garrett Metal Detectors: the Pro-Pointer AT. 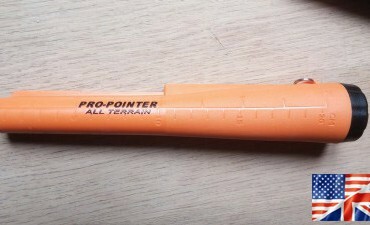 Compared to its predecessor, named Pro-Pointer, that had an incredible best-selling success, this new model is not only different in color, with an ultravisible orange, but it also introduced new exciting features that, in my humble opinion, could not be missed in a top of the line device like this. Being lucky enough to own, with great satisfaction, the old Pro-Pointer too, I had the chance to test the “Old” vs. the “New”. INTERNATIONAL-MODS: E^5BOOSTER, enhance your pinpointer performances with a simple click! As announced some days ago (LINK) , Sergio/”Xergix”, AMDTT senior member and electronic expert, just sent me his article on the E^5Booster (read it ‘E to the 5th Power’ Booster) project. I’m so happy Sergio decided to share his intelligent idea with all the blog readers who, I have no doubts, will really appreciate his work. I want to thank Sergio again for his excellent work and also I would like to thank Mauro/”Mauroki” for the extra photos and bench and field tests of the prototypes Have a nice reading! MODS: Project E^5Booster to enhance handheld pinpointer performance. Its a well known “trick”, in the detecting scene, that moving a small coin or any other small metal object closer to the base of the probe (Note by Bodhi3: the probe is something like an antenna, and it’s the sensitive part of the pinpointer) of any handheld pinpointer, you will have a sort of performance boost, in detecting distance/depth, on inspected buried targets. You will easily find some videos on Youtube about this trick and I will give you some links in the ending appendix to this article. From the electronics point of view, the explanation is quite easy: the little coin just “tunes” the probe that fundamentally is a coil with a ferrite core inside. As well as with old radios that could be tuned by manipulating a coil with a ferromagnetic core (ferrite), the pinpointer probe can be “tuned” by placing a piece of metal at the coils end, gaining sensitivity. By placing a ferromagnetic core inside a coil, the emitted electromagnetic field will be amplified. This is due to the increased electric inductance, since it is proportional not only to the coil windings number but also to the ferrite core magnetic permeability that is much greater than the one measured with air core. In this formula we can see how inductance “L” is proportional to the windings number “N”, to the nucleus area “A”, to its length “l” and the forementioned core magnetic permeability (greek letter Mu). In simple words, the iron core increases the electric inductance that will produce a more intense electromagnetic field. The E^5Booster essentially is a virtual small coin but, compared to this one, has the great advantage it can be “activated” by just pressing a small button without the need of moving it. This will allow to easily fix it on the pinpointer in a stable way without any mechanical moving parts. Fundamentally the E^5Booster is just a coil and a mini button that closes the circuit when pressed. Let’s try to explain the technical difference between the “coin-trick” and the “coil-with-a-button” booster. From an electronics point of view, a coin is essentially comparable to a closed coil and could strongly interfere with a LC circuit (L=Inductance, C=Capacitance) as the pinpointer probe, in the same way a ring could do. You can use a common ring instead of a coin and the result will be the same: if the coil is “open” (read “interrupted”) won’t interfere with the probe, but if we shortcircuit it with a switch button, we will transform the coil in a sort of ring that could be compared to a coin. Easy, isn’t it? 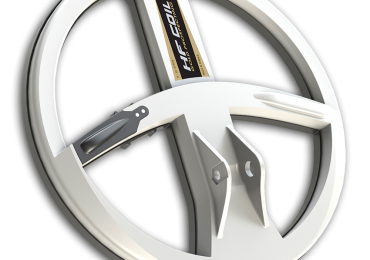 Everything we need to produce an E^5Booster is a coil and a switch button: the more convenient coil shape is the planar one, since it can be easily adapted to any surface, rounded as Garrett’s Propointer, Minelab’s ProFinder, White’s TRX or flat ones as with DTS Sherlock or White’s Bullseye II. 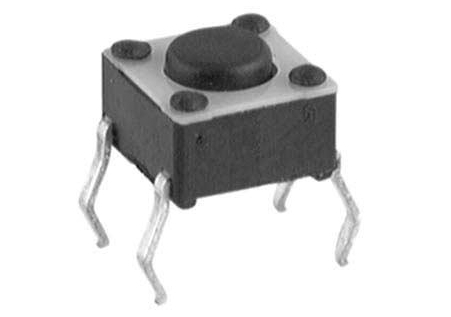 The switch button should be as small as possible and I suggest to use a 0,25 mm electric wire to produce the coil. It could be varnished or insulated. The coil I’ve made has 5 windings but the number is not critical. In the first prototypes (see photos) I used a small matrix board but it wasn’t flexible enough to be applied to the pinpointer in the right way. So I had the idea to use something flexible and I’ve placed the coil and the switch button on a floppy plastic strip taken from a blister envelope. But I wasn’t satisfied enough. 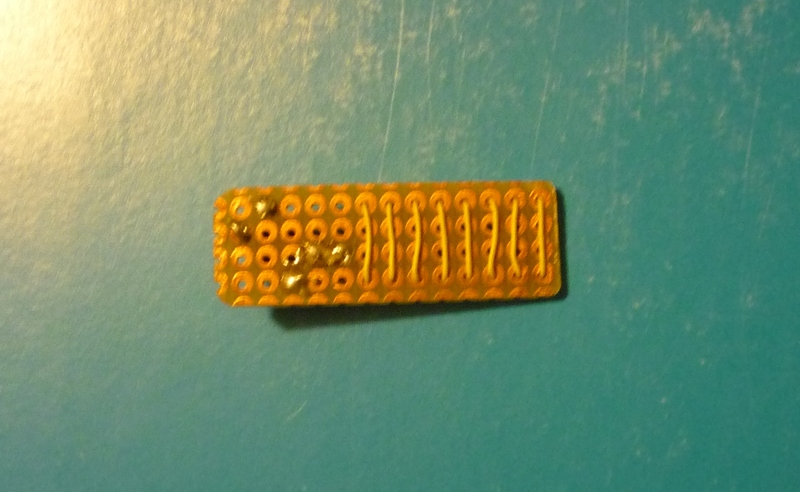 So I’ve transfered the circuit on a self-adhesive neoprene strip and the result is a flexible E^5Booster that could be easily applied on any pinpointer. Applying the Booster is very easy: you just need to place it on the base of the probe when the pinpointer is turned on. Then you slowly move it along the probe (toward its tip) keeping the switch button pressed until the pinpointer will start to beep. Then you just slightly move it back until the pinpointer beep won’t stop. That is the correct position! You can now fix it with an adhesive tape (just the coil area, leave the miniswitch uncovered). 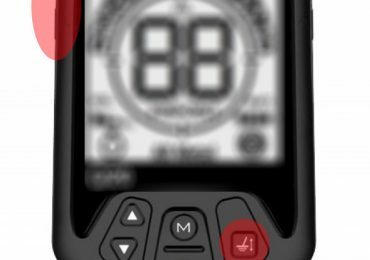 The E^5Booster, when the switch button is pressed, will almost allow to double the pinpointer sensitivity. I’ve, together with many friends, have done many tests on different models having really brilliant performances. Obviously, if you have a cheap pinpointer that can only detect things that are very very close (some cannot detect coins over 1 cm away!) the E^5Booster will maybe allow you to extend the sensitivity to 2 cm, but on good models that are able to detect a coin 3-4 cm away, the results will be amazing! And think about it… No batteries…No special electronics…and soooo cheap and easy to be made! Yesterday, during a hunt with my Spectra V3i, I had the chance to test the E^5Booster on the field on my Propointer. Its intuitive and easy use will enhance the already great performance of the Garrett pinpointer. 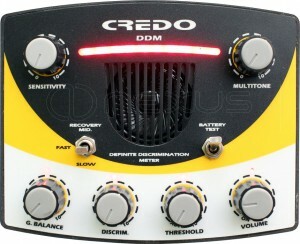 You just need to press the mini-switch to detect targets at greater depths well over the original capability. CONS: If not correcty fixed or protected from moisture and mud, this tiny circuit could be easily lost or have some malfunctions. I think the perfect solutions could be, and I know that Sergio is already working at it, to have the E^5Booster in a neoprene ring that could be fitted around the Propointer, with a well protected and waterproofed mini-switch. Mmmm… I think manufacturers should work on it. Don’t you agree?